Throughout 2013, we developed 4 campaign layouts and managed one Facebook tab application per month for ninemsn Australia and New Zealand. 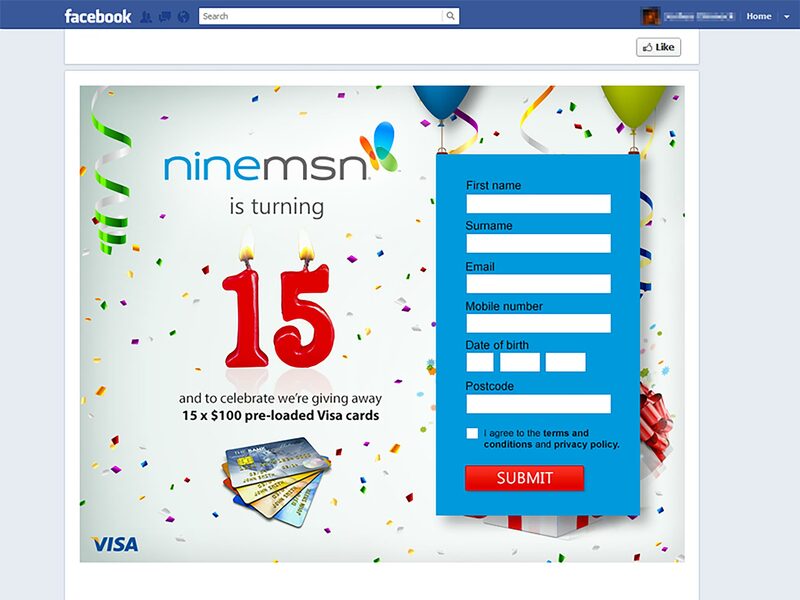 KDI has been instrumental in ninemsn's Facebook acquisition strategy over FY13. Through a number of briefs which aligned to our strategy, Lyndel and her team were able to deliver 4 engaging and successful social campaigns which have carved new ground for us. The campaigns have been so successful that Microsoft Asia-Pacific are treating them as world best practice and working with KDI on similar social campaigns through the Asia-Pacific region. Copyright © 2019 by K&D Interactive Inc. All rights reserved.